The Church of St. James the Less is near Sulgrave Manor, England, which is the ancestral home of the Washington family. 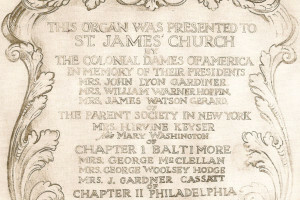 The Colonial Dames of America and its chapters donated a pipe organ in 1930 in memory of Mrs. William Warner Hoppin, Mrs. John Lyon Gardiner, and Mrs. James Watson Gerard. The CDA and its chapters made major contributions to the restoration of Sulgrave Manor, ancestral home of the Washington family, including funds toward refinishing the main room. Kenmore is the only surviving structure from the Kenmore plantation in Fredericksburg, VA. 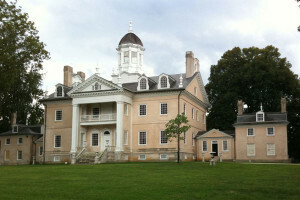 It was the home of Fielding and Betty Washington Lewis, the sister of George Washington. CDA contributed the furnishings in the upstairs guest bedroom, where Gen. Lafayette was known to have stayed. 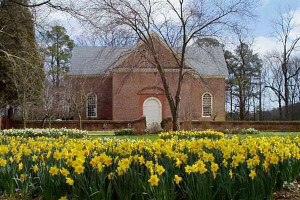 The Abingdon Episcopal Church was built from plans drawn by Sir Christopher Wren. Chapter I – Baltimore contributed to the restoration of the church (founded 1668) in 1898 as one of its first historic preservation projects. 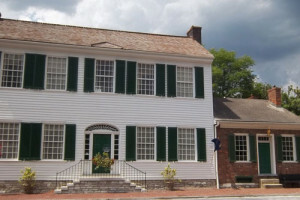 The late 18th century McDowell House and Apothecary is a National Historic Landmark and the former home of Dr. Ephraim McDowell, the “father of abdominal surgery.” Chapter IX – Lexington, KY, furnished a bedroom in the house and continues to support the museum. Chapter I – Baltimore made a significant contribution to the restoration of the Colonial Dining Room in the home of Samuel Chase, signer of the Declaration of Independence. The room features silver door knobs and hinges, as well as mahogany woodwork. 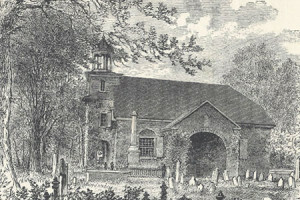 This 1772 church was built from plans drawn by George Washington. CDA contributions enables multiple restorations, including the pulpit, stair, sounding board, and reredos. 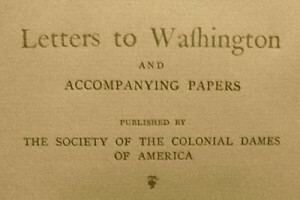 Letters to Washington and Accompanying Papers, in five volumes, was published in 1906 through the generosity of The Colonial Dames and its chapters. Chapter II – Philadelphia presented a set of the books to the Library at Valley Forge. 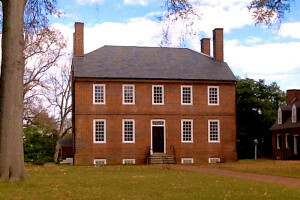 The property on which the Hampton Mansion was constructed was originally part of the Northampton land grant given to Col. Henry Darnall, a relative of Lord Baltimore, in 1695. In 2014, Chapter I -Baltimore celebrated its sixty-fourth year of continual support of the mansion. Among the chapter’s contributions is the music room.